A revolutionary, first-of-its-kind iPad app is making waves in the real estate industry by providing a cutting-edge virtual staging solution. 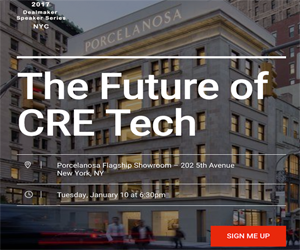 Applicable for real estate professionals, as well as retailers and consumers, the app uses patented core technology that makes it possible to transform 2D images into brilliant 3D spaces. With roOomy, users can visualize interior spaces in a completely new way. The 3D rendering, combined with decorating functionality, is unparalleled in the industry. Real estate firms are already subscribing to the app to stage listings virtually with products from well-known furniture brands. As past experience has shown, staging can prove to be tremendously beneficial in helping buyers see the full potential of a property. Studies indicate that staging a property leads to higher valuations and faster sales. According to the 2015 NAR report, 48 percent of surveyed brokers believe staging increases the value of a sale by 4 percent. Unfortunately, renting furniture can be expensive, and the time involved in staging a property can be inconvenient. The average price of staging a listing is $675. With roOomy, a room can be virtually staged from $79. Virtual staging represents tremendous value to both homeowners and real estate professionals. Previously developed virtual staging solutions were not instantaneous or easy to use. Furthermore, they only offered 2D settings. Now, roOomy is helping to transform the staging industry by offering an interactive, powerful 3D solution. This groundbreaking app also allows real estate professionals to share their properties with an expansive audience, even making it possible to like and re-share the listing with others. The process works by giving managers and even investors the chance to upload properties into the app via subscription. Users can then remove the current furniture and replace it using new items offered by the app’s retail partners. The process works seamlessly by using an included catalog to shop. Everything can be handled from the same screen. Everything from wall colors to upholstery can be changed with just a tap on the screen. Users can also view a close-up of a rug or fabric texture with a pinch. Need to rotate the view of a room? The layout can be rotated from top to bottom, or right to left. Offering an intuitive experience, roOomy will even highlight issues, such as whether a piece of furniture will not fit in a room. Should a user wish to view more details or purchase an item, all it takes is a tap to go directly to the product page. With real estate becoming increasingly competitive, roOomy makes it possible for real estate professionals to show a property to its best advantage, all without spending a small fortune on professional staging. Even better, the process can be handled almost instantly, without the need to wait for a staging crew, offering time-saving benefits.